A tree-crown warbler, (his species feeds and roosts in the forest canopy, but nests at ground level. Areas of tall forest lacking undergrowth are favored. 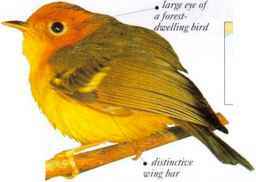 This species is brighter and yellower than the Eurasian Chiffchaffand has a shivering, trilling song. It feeds on insects. • NliST A domed nest of vegetation, placed on or near the ground. Kurope. Winters in equatorial Africa. 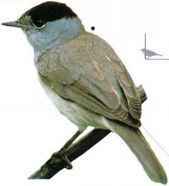 Th is warbler occurs on mountain scrub and forest clearings. 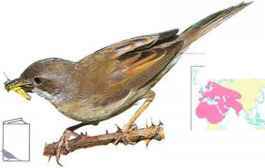 It often joins mixed feeding flocks and can be seen snatching insects from the undersides of leaves. Its trilling song is high pitched and disjointed. • NEST A domed nest of grass and mosses, placed in a rock crevice. • DISTRIBUTION S. Malaysia. Borneo, Sumatra, islands of K. Indonesia as far as New Guinea, and W. Philippines. 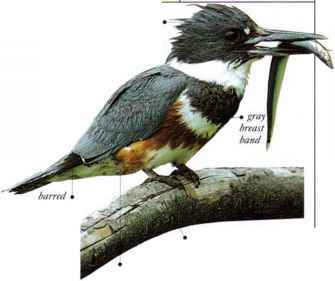 I lie exuberant song of this bird, often heard from high in the trees, contrasts with its extremely basic color scheme. It feeds 011 insects and berries. • NEST a hair-lined cup nest made of grass, placed low in the undergrowth.